Mr. Suave's Mod Mod World: Modcast #203: Waiting for the Summer! 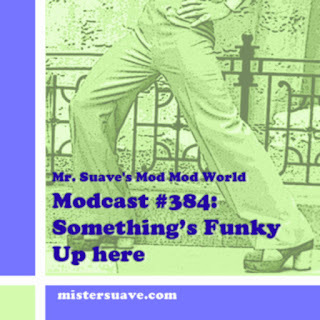 It's the beginning of summer and that means it's Tiki time in Mr. Suave's mod world, and it also means it time for Ken's annual summer modcast. Nothing could be cooler for summer than swingin' loungalicious, go-go, exotica music chosen by the one and only Ken from The Shingles. 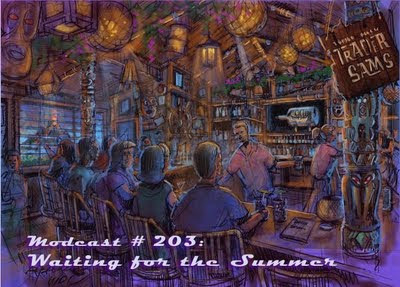 That's right Ken is mixing music and drinks this week in live show (recorded much earlier) from Trader Sams the new tiki bar at Disneyland. Are you jealous yet? I am. Last time I go on vacation. No matter, this is a great summer kick off show. Got a few classics from the Beach Boys, Big Star and Paul Weller, and a few acts that are making their debut on the modcast like XTC and ... wait for it ... ELO. Trust me, you're going to love this one.